Product prices and availability are accurate as of 2019-04-17 19:38:34 UTC and are subject to change. Any price and availability information displayed on http://www.amazon.com/ at the time of purchase will apply to the purchase of this product. 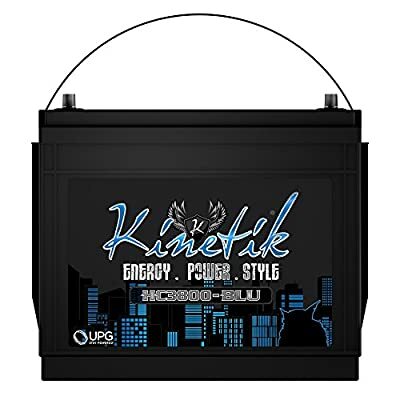 This Kinetik HC BLU Series 12-Volt Car Audio Power Cell features a sealed absorbed glass mat (AGM) design and is perfect for 800-watt car audio sound systems. 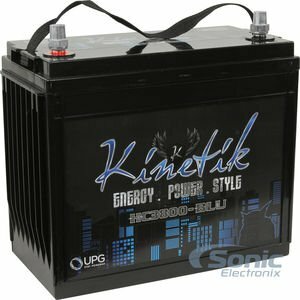 The HC800-BLU can be used as a replacement for your vehicles standard battery or as an additional battery to provide the extra power needed for a high performance aftermarket system. It's leak-proof design and no external vents allow this power cell to fit in most factory battery locations with no hazardous leaks. Kinetik's KHC3800-BLU Power Cell puts out 1800 cranking amps with a 135 amp hour rating. This battery will resist extreme heat conditions and vibrations and is 100% sealed in a reinforced ABS plastic case. 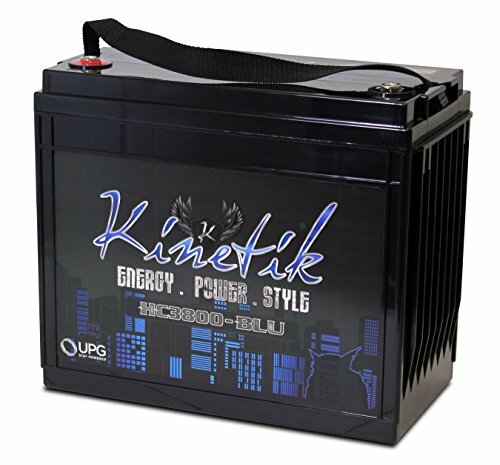 Kinetik has equipped this power cell with more plates for stronger energy density and a high voltage under load. 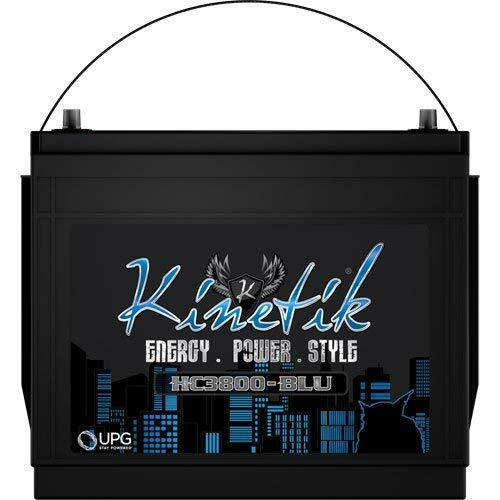 You will love the way Kinetik batteries get your system powered up and ready to go.